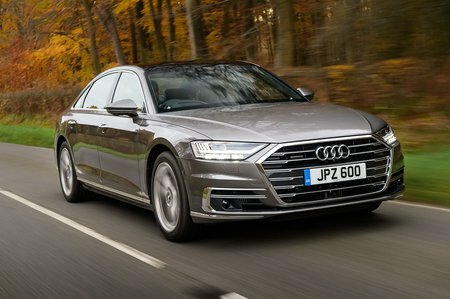 Audi A8 55 TFSI Quattro Tiptronic Review and Deals 2019 | What Car? The 55 TFSI is temporarily off sale while it's being updated to meet the WLTP fuel tests. For those holding out for its return, it hasn't the same low-down grunt as the diesel, but still feels perfectly suited to the A8. It's buttery smooth and when you want to push on and utilise the engine's maximum performance, it revs more keenly and offers greater outright pace than the diesel, although the equivalent petrol in the Mercedes-Benz S500 is even more responsive and quicker still.